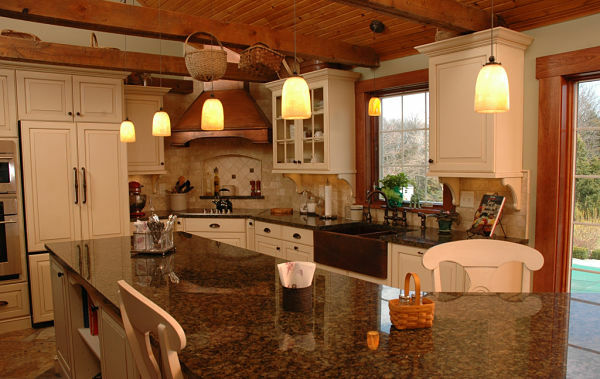 Over the years we have worked with thousands of homeowners in designing and remodeling kitchens. We understand that a kitchen is the heart of the home. It is the place not only for meals, but it’s also the place where family and guests tend to gather to enjoy each other’s company and conversation. Since kitchens hold such a place of honor in the home, it makes sense to want them to work their best for you, your family, and your needs. Remodeling a kitchen is a major investment in your home. When homeowners approach us about remodeling their kitchen they usually already have ideas in mind about what they want. Our first job is to help them sort through those ideas and prioritize them – what are the things they absolutely must have in their new kitchen and what would they like to have but may not be essential to achieving their remodeling goal. Once we’ve had this discussion, the priorities are identified, and we can help set a budget and develop a project plan. 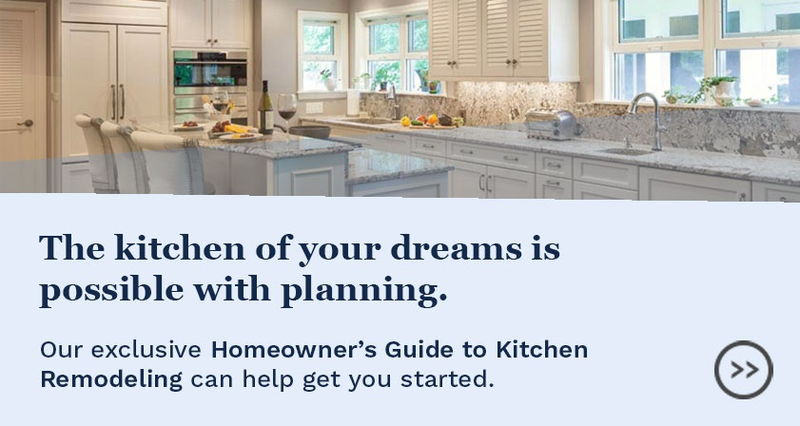 To assist homeowners in this important initial planning stage, we have developed a guide that walks you through the essential questions to help you set priorities and provides helpful data to help you set a ballpark budget for your kitchen remodeling project. The Homeowners’ Guide to Kitchen Remodeling is designed to assist you in the process of making decisions and identifying the major aspects of your project. It is based on the steps you will need to go through to remodel a kitchen that meets your needs, both functionally and aesthetically. 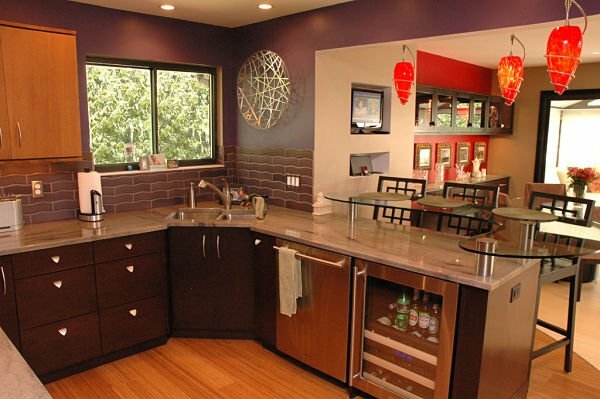 Most likely, you’ve been thinking about remodeling your kitchen for a while. Many homeowners collect ideas from Pinterest and Houzz, magazines and home books, television shows, home shows, or even neighbors and friends. You may get a few ideas from “before” and “after” projects but little is discussed about how those homeowners got started. The planning process begins with a list of questions that only you can answer. The first of these questions is “What are your plans for your home?” Your answer to this question sets the stage for your project. Before considering a design for your kitchen or setting a budget, it is important to identify aspects of the project that are essential and aspects that are optional. In the Guide, you will find a checklist to help you set priorities. Use the checklist as a starting point to initiate discussions with a Project Consultant. The Guide also provides helpful information to answer the question: “How much will it cost to remodel my kitchen?” We use data from the Cost vs. Value Report published by Remodeling Magazine, an industry trade journal, to provide a ballpark estimate of what you can expect to pay for a kitchen remodeling project in our area. 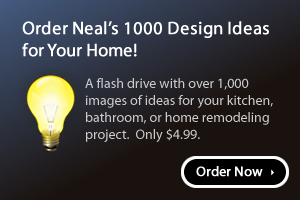 We hope you find the guide useful as you plan your kitchen remodeling project. Our Project Consultants are available to meet with you to discuss your project ideas and provide a preliminary estimate. We are interested in your answers to the questions in the guide. Don’t forget your checklist!